Below you fill find all funeral homes and cemeteries in or near Sandpoint. 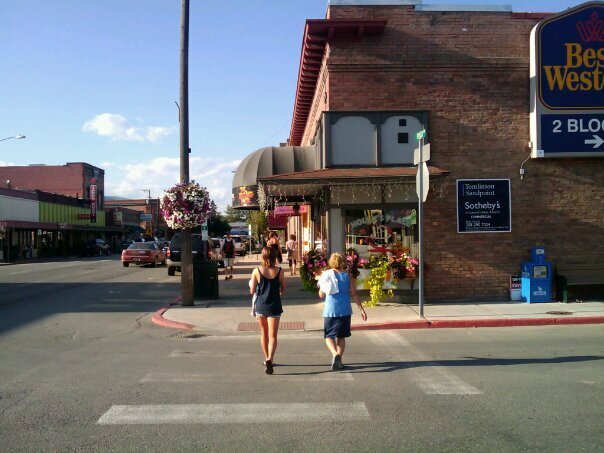 Sandpoint is also known as: Bonner County / Sandpoint city. Zip codes in the city: 83864. Bonner County funeral flowers can be purchased from one of the local funeral shops we partner with. Some of the notable people born here have been: Sarah Palin (politician and commentator), Nate Holland (snowboarder), Jake Rosholt (wrestler), Nick Hagadone (baseball player), Joe Mather (baseball player), and Abra Chouinard (actor and film director). Sandpoint (Ktunaxa: kamanqukuǂ) is the largest city in, and the county seat of, Bonner County, Idaho. Its population was 7,365 at the 2010 census.Sandpoint's major economic contributors include forest products, light manufacturing, tourism, recreation and government services. As the largest service center in the two northern Idaho counties (Bonner and Boundary), as well as northwestern Montana, it has an active retail sector. It was the headquarters of Coldwater Creek, a national women's apparel retailer; it is the headquarters of Litehouse Foods, a national salad dressing manufacturer; and Quest Aircraft, a maker of utility aircraft.Sandpoint lies on the shores of Idaho's largest lake, 43-mile-long Lake Pend Oreille, and is surrounded by three major mountain ranges, the Selkirk, Cabinet and Bitterroot ranges. It is home to Schweitzer Mountain Resort, Idaho's largest ski resort, and is on the International Selkirk Loop and two National Scenic Byways (Wild Horse Trail and Pend Oreille Scenic Byway). Among other distinctions awarded by national media in the past decade, in 2011 Sandpoint was named the nation's "Most Beautiful Small Town" by Rand McNally and USA Today. It was revealed by Register Guard on February 12th, 2019 that Lloyd Lee Thompson passed away in Springfield, Oregon. Thompson was 64 years old and was born in Sandpoint, ID. Send flowers to share your condolences and honor Lloyd Lee's life. It was reported on August 18th, 2018 that Madeline Jean Murray (Luton) died in Port Moody. Ms. Murray was 93 years old and was born in Sandpoint, ID. Send flowers to share your condolences and honor Madeline Jean's life. It was noted on August 7th, 2018 that Robert Francis "Bob" Boyle died in Sandpoint, Idaho. Boyle was 74 years old and was born in San Diego, CA. Send flowers to express your sorrow and honor Robert Francis "Bob"'s life. It was written by The News Tribune on June 17th, 2018 that Debra Suzanne Porter died in Washington. Porter was 63 years old and was born in Sandpoint, ID. Send flowers to share your condolences and honor Debra Suzanne's life. It was disclosed by Ellensburg Daily Record on May 23rd, 2018 that Joni Kay Leman (Nelson) perished in Washington. Ms. Leman was 62 years old and was born in Sandpoint, ID. Send flowers to share your condolences and honor Joni Kay's life. It was written by The News Tribune on May 9th, 2018 that Malcolm "Mat" Stewart passed on in Washington. Stewart was 96 years old and was born in Sandpoint, ID. Send flowers to express your sympathy and honor Malcolm "Mat"'s life. It was revealed by The Daily News on April 14th, 2018 that Ronald Travis Norris died in Castle Rock, Washington. Norris was 74 years old and was born in Sandpoint, ID. Send flowers to express your sympathy and honor Ronald Travis's life. It was reported on March 17th, 2018 that James Allen Cherry perished in Sandpoint, Idaho. Cherry was 86 years old. Send flowers to share your condolences and honor James Allen's life. It was reported on February 16th, 2018 that James W Everhart perished in Sandpoint, Idaho. Everhart was 88 years old and was born in West Point, NE. Send flowers to express your sympathy and honor James W's life. It was written by Register Guard on February 11th, 2018 that George A Smith passed on in Springfield, Oregon. Smith was 85 years old and was born in Sandpoint, ID. Send flowers to share your condolences and honor George A's life. Sandpoint's major industry is tourism and recreation, thanks to its proximity to scenic Lake Pend Oreille and Schweitzer Mountain Mountain Ski Resort. . Sandpoint is a city in, and the county seat of, Bonner County, Idaho County, Idaho, United States. Sandpoint is on the International Selkirk Loop and two National Scenic Byways (Wild Horse Trail and Idaho State Highway 200 Oreille Scenic Byway). Its population was 6,835 at the United States Census, 2000 census. Donald Lee Bud Newton, 83, passed away on Sunday, Oct. 31, 2010, in Sandpoint, Idaho. Funeral services will be held at 1 p.m. on Friday, Nov. 5, 2010 ,at the Lakeview Funeral Home in Sandpoint with Pastor Dave Olson of the First Lutheran Church officiating. Lindy Linstrum, 96, of Sandpoint, Idaho, died Thursday, Oct. 28 ... Arrangements are entrusted to the care of Coffelt Funeral Service. Listing all funeral homes in Sandpoint, Idaho so you can easily send flowers to any location (same day delivery) or find any funeral service. Find a Funeral Home inSandpoint, Idaho ID to provide the caring burial and ceremonial services your family deserves. We work with local florists and flower shops to offer same day delivery. You will find budget sympathy flowers in Sandpoint here. Our funeral flowers are cheap in price but not in value.